Would YOU go back in time to the days of slavery? That’s the question at the heart of Send Me, a provocative web series debuting as part of BET Networks’ Digital Black History Month celebration. The series will start running on BET.com and the BET NOW app starting February 4th and run until the end of the month. Send Me stars Indie Series Award-nominated Tracie Thoms (Looper, Cold Case) as a woman who has the power to send Black people back in time to the days of slavery. Her husband is determined to stop her in spite of the fact that people want to go. The cast of 17 includes many familiar faces including Gabrielle Carteris (Beverly Hills, 90210), Jerrika Hinton (Grey’s Anatomy), Jasika Nicole (Scandal), Nelsan Ellis (True Blood), Tucker Smallwood (The Sarah Silverman Program) and Carlease Burke (Ballers, Crowded). 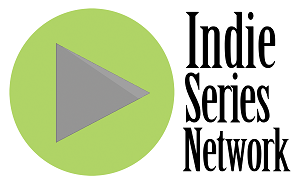 The 6-episode web series will launch on the digital platform this week along with 11 short “interviews” of characters explaining why they want to take the journey. Send Me creator Steve Harper, an award-winning TV writer and playwright who spent two seasons writing for the USA network’s Covert Affairs, started crowd funding for the project on Indiegogo in the fall of 2014. Donors to the campaign include comedian Chris Rock – who is a producer on the series and Sara Ramirez (Grey’s Anatomy) who is an executive producer. An active and lively discussion has emerged on Harper’s Twitter handle @harpercreates, and the series has garnered the attention of journalists, bloggers and podcasters – with coverage appearing on IndieWire, Huffington Post Black Voices and The Mother Love Show on L.A. Talk Radio. Send Me also has an active Facebook page. “I wanted to create a drama that gets people thinking and talking about race. That’s happening already, given what’s been going on in the news. I hope SEND ME adds to the conversation.” SEND ME was shot in February of last year in Los Angeles.